Guess Football Player quiz pro attempts to challenge your knowledge and the power of your brain, and test how many football players do you know. It can be a great challenge as more as you go with it because it contains a lot of modern football champions and football stars and many great old legends. Start the game and let's see how many soccer players do you know and how many players you can guess. The game contains hundreds of HD pictures of well known football players all around the world like Messi, Ronaldo, Pogbe, Iniesta.... It also contains many great old legends like Vanderama, Figo, Zidane and more. 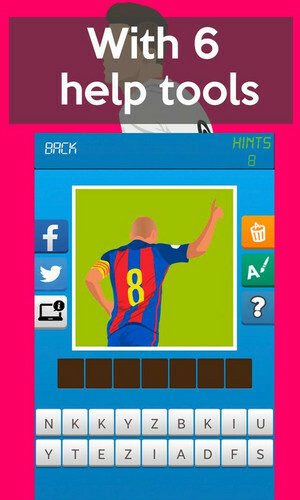 Guess Football Player quiz pro is very simple, look at the picture and try to recognize the soccer player that appears in it, enjoy the HQ graphics and have fun identifying hundreds of football players and show your knowledge! 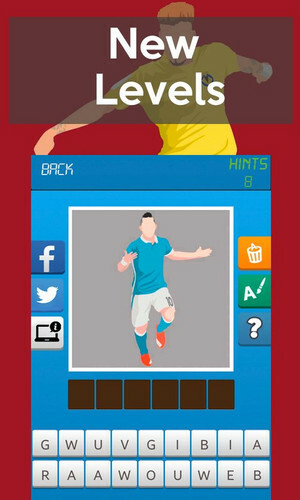 Guess Football Player quiz pro allow you to show your knowledge and challenges you with hundreds of HD pics. Note ON REVIEWS: Please if you like our game don't hesitate to tell what you think about it. cause we know that people like most of us hate writing reviews because they usually don't know what to say about the games or the apps they are using. if you like Guess Football Player quiz pro say what you like about it in an honest review and 5 stars would be really appreciated.. if you don't, say what you don't like about it and we will try to fix it. Now lets' go back to talk about the game. 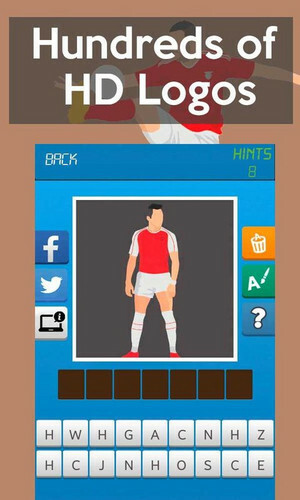 Guess Football Player quiz pro contains Tons of Hd videos that will be revealed everytime you answer a puzzle, HQ videos that have millions of viewers on youtube showing you the skills and the best goals of the soccer player. If you are stuck in Guess Football Player quiz pro use the help tools that can help you guess the football player. You can also share the football player's picture with your friends on facebook or twitter, and in case you don't know the football player your friends will help you. Hundreds of HD Football players are waiting for you, challenge your brain by guessing as many football players as you can. 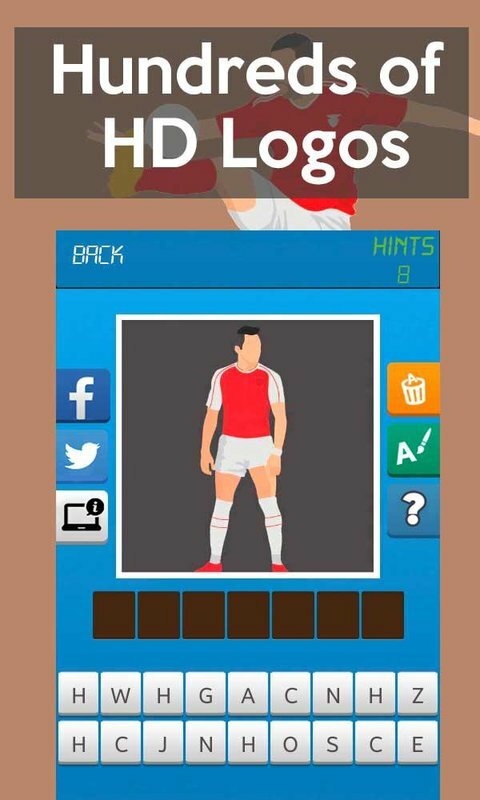 Take action and download it now and let's see how many football champions you can guess. Challenge yourself and challenge your friends. have fun and share the fun.